For two years Anglican Overseas Aid has been supporting a project giving new hope to people with disabilities in India through our small grants program. The project finished in July 2018 and was evaluated afterwards by Rebekah Pederson from the University of Melbourne. The evaluation concluded that the project enjoyed much success; the 43 people with disabilities who were involved with the project were supported both socially and economically. 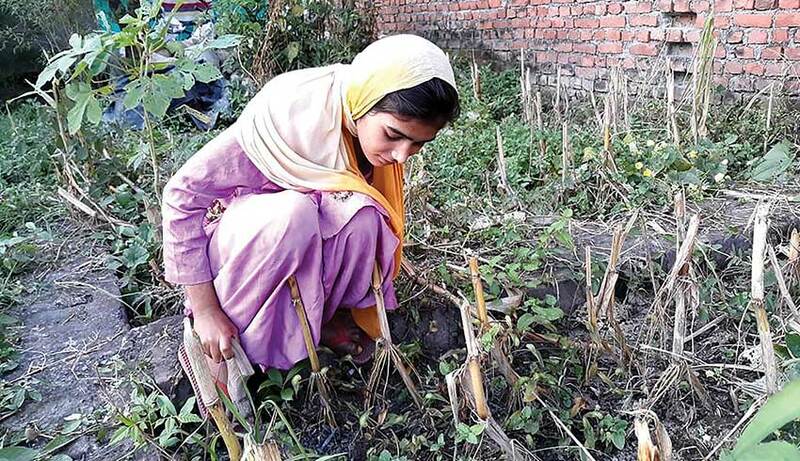 A female participant, age 22, tends to her garden. Life for people living with a disability in India is hard. For those already living in poverty, the likelihood of having to cope with a disability is higher. For those who aren’t, the difficulties for people with an impairment can exacerbate or lead to poverty. Such is the case in the north-eastern state of Uttarakhand, India, where 55% of people with mental or physical disabilities are living in poverty, most of whom were unemployed with no income. To tackle this issue, Anglican Overseas Aid, along with the Community Global Health Network (Uttarakhand Cluster) and the Nossal Institute, developed the Disability Inclusive Livelihoods Initiatives Program (DILIP). This program was designed to offer people living with a disability the opportunity to meaningfully engage in social and work activities, with a view to increased social integration and income generation. Through guidance and help from disability coordinators, people with disabilities were mentored and advocated for, supported to start an agricultural trade, linked into social services and assisted to problem solve issues stemming from their disability. After the two year project all of the 43 participants had taken up and were continuing their trades. As found in the evaluation, despite varying levels of disability, literacy and family support, all the participants had been impacted positively by the project, either financially or psychologically. The majority were considered to have achieved a level of gainful employment, with over 70% of the participants generating income, and over 85% able to implement some savings strategy. This is significant considering the level of poverty many of the participants were living in. Aside from the financial benefit, participants were empowered to be more self-reliant, and through the learning process, attending meetings and networking, they were given more of a sense of value, community and relationship. Many of the participants reported increased confidence and said that their life had become more meaningful through their livelihood activities and were now more aware of the services available to them. Arjun (right), age 23, who has an intellectual disability, was very disconnected before participating in the program, often wandering around unable to communicate with his local community. 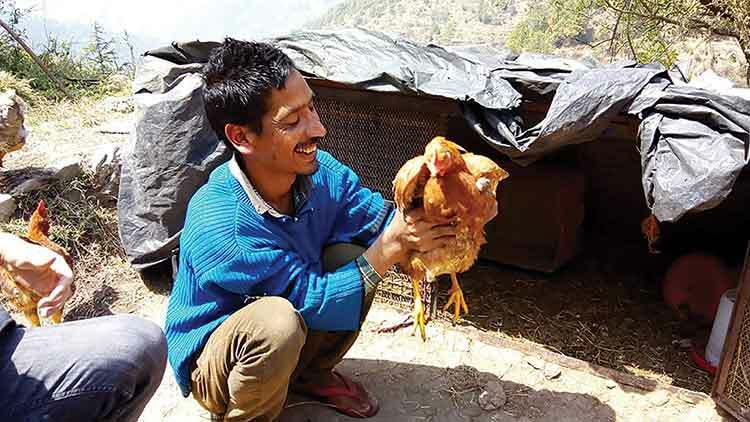 Since taking part in the project, growing plants and raising chickens, Arjun is now more engaged; he looks after his plants and chicks, gets ready and attends school three times a week and can now go to the shops alone to buy groceries for his family.